Samsung is riding a stallion instead of a unicorn into the driverless revolution. Despite no stated cost savings, the 28 percent premium the Korean electronics group agreed to pay for connected-car supplier Harman International is reasonable. The likes of Alphabet’s Google are investing heavily to invent the automotive future as General Motors and others bet on risky startups. This deal suggests there are safer ways to play a mega-trend in the making. The $8 billion price tag looks both opportunistic and fair for a company that will jump-start Samsung’s presence in what it expects to be a $100 billion market by 2025. Harman’s shares hit a three-year low in June, reflecting concerns that car suppliers face tougher times as the long post-crisis boom in U.S. auto sales fades. General Motors last week underscored the worries by unveiling 2,000 U.S. factory job cuts, following news of similar cutbacks at rival Ford Motor. Despite the turn, Harman has been trying to position itself for the longer term. While it is best known for its JBL speakers, features like navigation, infotainment, communications and car safety accounted for nearly half of Harman’s sales over the past year. They’re likely to grow in importance as computers take over from humans at the wheel. A lack of advertised cost cuts probably means that Samsung, which plans to run Harman as an independent subsidiary, will have to rely on revenue gains to recoup its investment. It would only take slashing costs equivalent to 4 percent of next year’s sales to cover the premium, but it’s also reasonable to think that combining Samsung’s products with Harman’s brands and customers could result in faster growth than either company can manage separately. That makes Harman a more sensible way to gain exposure to the next generation of cars than building brand-new technology from scratch the way Google, Apple and Uber are doing. Similarly, investments like the $500 million GM made in ride-sharing app Lyft and its $1 billion-plus acquisition of software venture Cruise Automation offer huge upside, but with accompanying risk. Harman should be a good ride down the middle of the road. Samsung flags are set up at the main entrance to the Berlin fair ground before the IFA consumer electronics fair in Berlin, August 28, 2012. 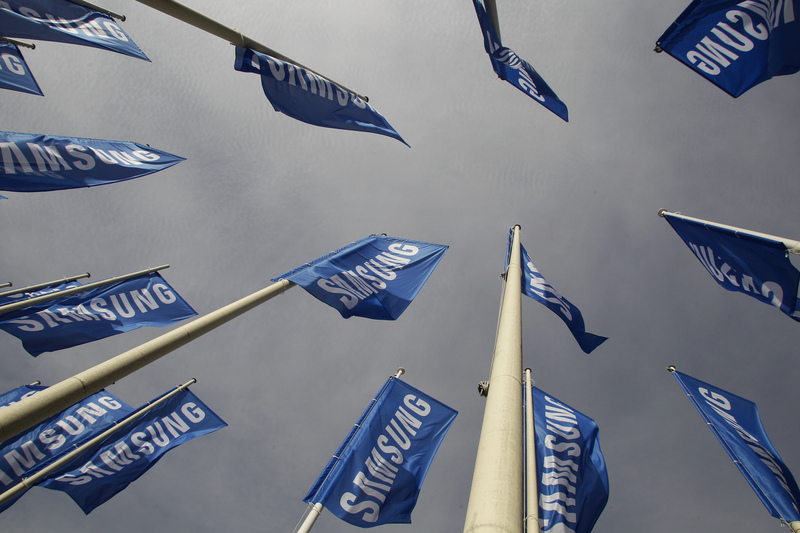 Samsung Electronics said on Nov. 14 it will buy U.S.-listed Harman International Industries for $8 billion. Samsung will pay $112 per share in cash - a premium of 28 percent to Harman's closing share price on Nov. 11. Harman's best-known properties include consumer audio brands JBL, Harman Kardon and Mark Levinson, but the company's "connected car" unit also supplies integrated entertainment, navigation and telematic systems to automobile makers, as well as safety and security products. Harman will operate as a stand-alone Samsung subsidiary, retaining the current management team, workforce, and all of Harman's consumer and professional audio brands, according to the statement.